As the U.S. takes to ‘Marijuana Edibles‘, I decided to go back to basics and just start to populate my little herb garden with something other than my slow-growing rosemary and wildly sprawling mint. 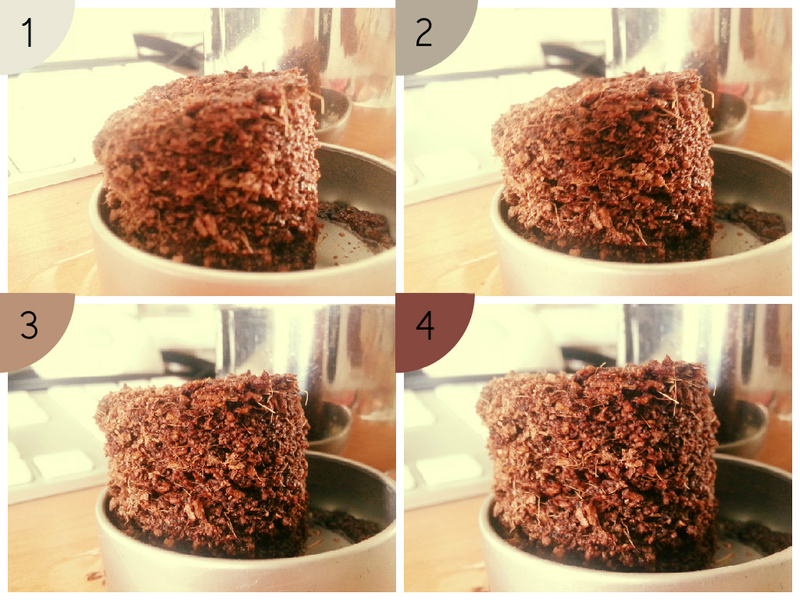 I bought a tiny, over-priced tin of soil and seeds to start this project. 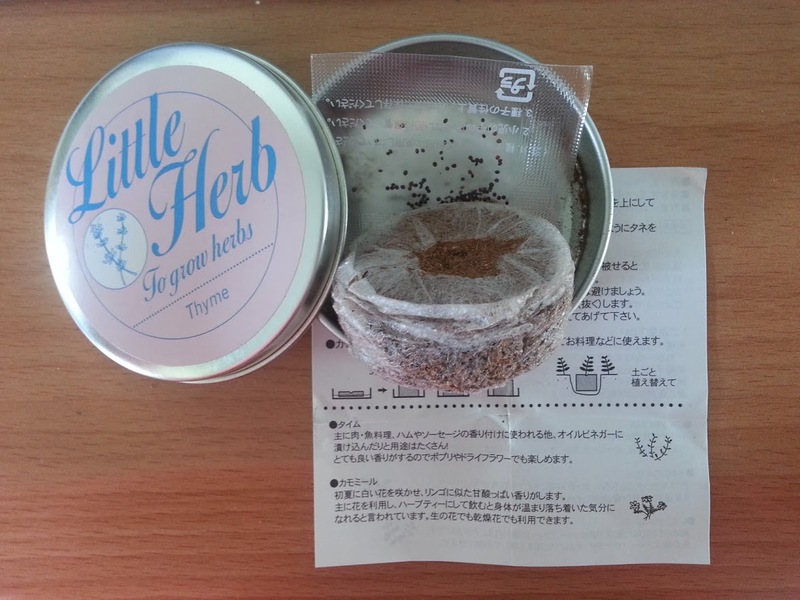 The instructions came in Japanese but the sales lady could see that I was an impulse buyer and very kindly asked if it was my first time buying the product (yes) and then proceeded to summarize the simple instructions to get my thyme babies growing. It’s not rocket science, just a little magic Herbology. But still infinitely fascinating. 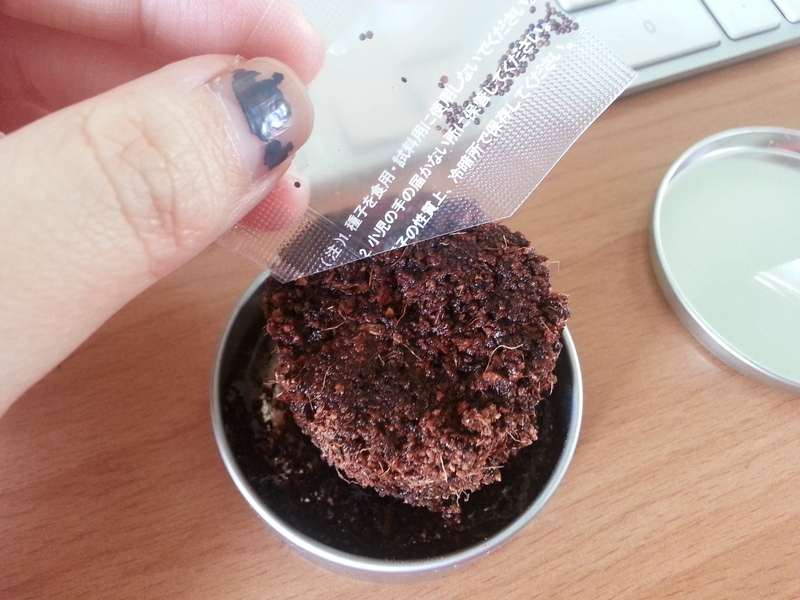 I had to unwrap the compacted soil, place it back in the tin container. Pour warm water to fill up to around half way of the container. Tip #1: Your computer workstation is not the best place to do this as the process of removing the white cover shoots soil all over the place and over your keyboard, straight into those unreachable cracks. Not expecting the fascinating result, I did not have my camera on hand. But if you look closely, you see the soil actually making its final reach up to its largest size. Next, sprinkle the seeds on top and gently press them down. Using normal tap water now, gently water the seeds. Tip #2: If you have a small sprinkler, use it. If not, just dip your fingers into the water the drizzle it over the seeds. Just make sure they all get a drink. And… that’s it!! Just keep the incubating babies out of direct sunlight and the soil moist with a little regular watering. Once it starts sprouting more than a few leaves, that’s when you’ll see my next post of me transferring them next to their cousins in larger pots.